This gateway to craft beer is set in the Gateway to the Highlands. We converted the old Drouthy Neebors bar on Baker Street into a 16-tap BrewDog hop-den, serving amazing offerings from ourselves, other UK breweries and guest beermakers from overseas! BrewDog Stirling features a range of classic bar food, including award-winning pies from Pieminister, and an incredible range of freshly-prepared coffee from Dear Green roasters in Glasgow. A few minutes from the station and the castle, we found the perfect location for Stirling! 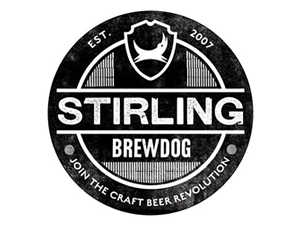 Sorry, but we have no upcoming events for BrewDog Stirling. If you know of an event taking place at BrewDog Stirling or anywhere else in Stirling tell us about it and we'll list it on the website, for free!